I got my mind on adoption, and adoption on my mind…..
It’s all I can think about. Not that it’s really ever far from my mind now. Luckily it comes in spurts and usually wanes a little, but when it rears it’s relentless head, it makes me useless. The baby fever I used to get (what seems like a lifetime ago), has been replaced by adoption fever. I woke up thinking about adoption yesterday, and it hasn’t stopped. Ugh! 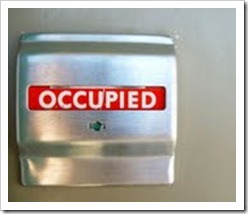 I may as well hang a sign on my forehead that says “Occupied”. Occupied with thoughts of, “I wonder if they’ve listed any new profiles on AdoptOntario since I checked an hour ago…?” Or, “What other adoption search terms can I possibly google that I haven’t already tried…?” , and so on. It’s so bad, that I tried putting it to good use and working on some blog drafts I started a while back, but I couldn’t even manage that. You got this entry instead. Yes thank God the adoption brain mania reduces to a manageable obsession, because otherwise, I’d be completely unable to function. I texted briefly with E yesterday (see my ode to her here), and of course we spoke about our fave topic of conversation…what else? We haven’t got together since our first meeting, and have since relied on texting. It’s so hard to have convos with her because we could talk forever about it, so every conversation seems so short. Key word in that sentence being “seems”. (Trust me, 99% of them really aren’t.) She’s already adopted a beautiful boy, so she’s been a wealth of information for me. And happily so, which is nothing short of fantastic for me. The only problem is, whenever I talk to her, she’s so positive and supportive, that adoption fever reaches an all-time high, and I become an addict looking for their next hit. Luckily I’m gonna get me my fix next weekend, over some coffee. Yay! No annoying interference from stupid things like work and life. No sir. It’s gonna be full on, unadulterated downtime filled with talk of all things kiddos. Can’t wait.